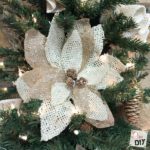 Are you ready to change up your Christmas Decor? 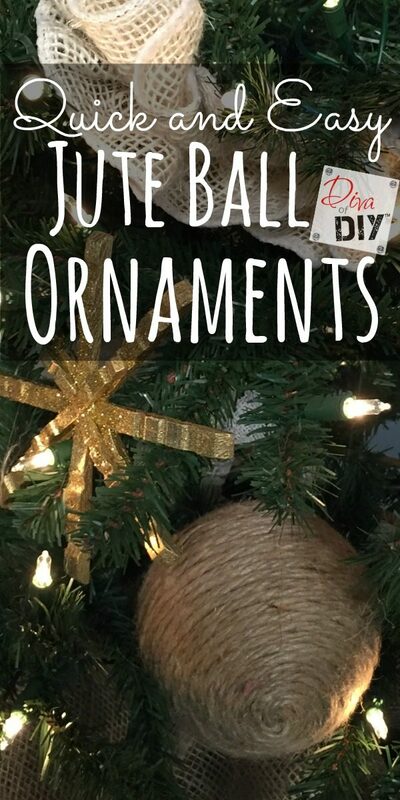 Don’t throw away all those ornaments that are not the correct color, upcycle them! 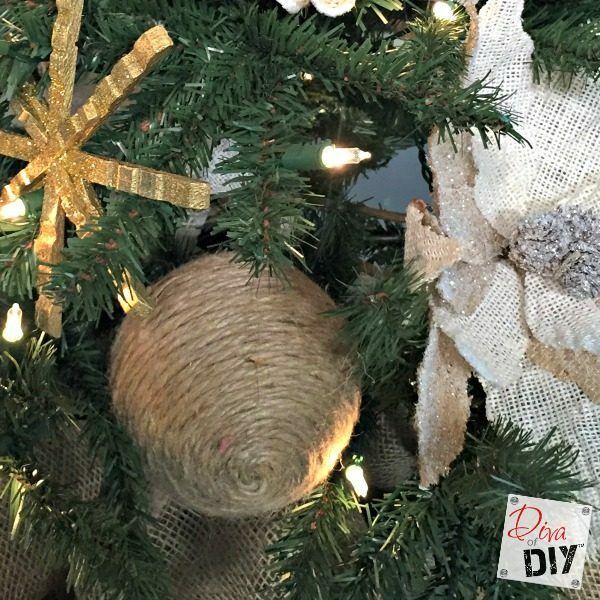 Wrapping old ornaments with jute is a great way to fit them back into your rustic decor! 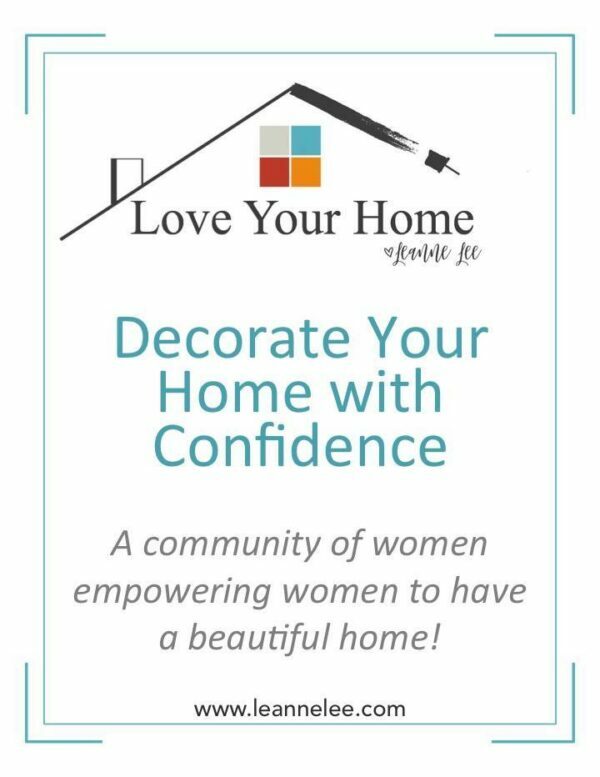 Think about how many discarded ornaments you have seen at garage sales or thrift stores! 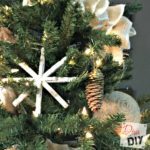 Step 1) Starting at the top wrap the ornament, using a hot glue gun and apply a couple of dots in a line on the ornament and attach the jute. 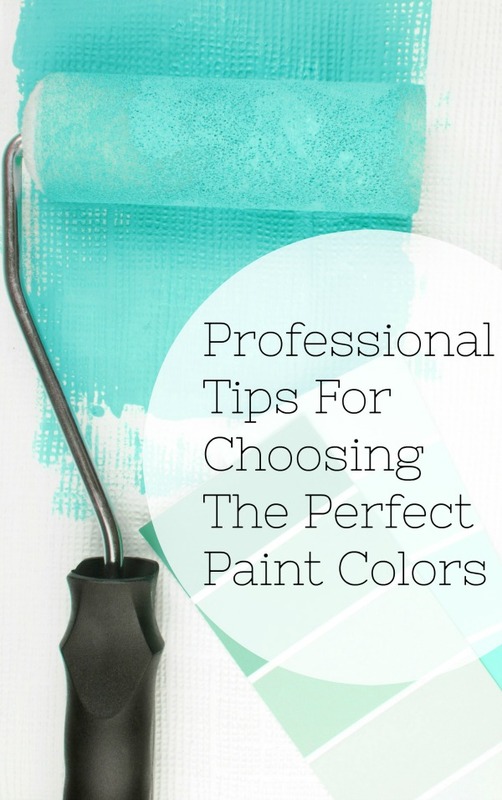 Work in small sections because the glue dries fast. 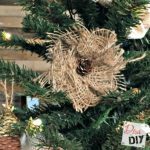 Step 2) Continue to wrap the jute, glueing as needed until the ornament is completely covered. There you have it! 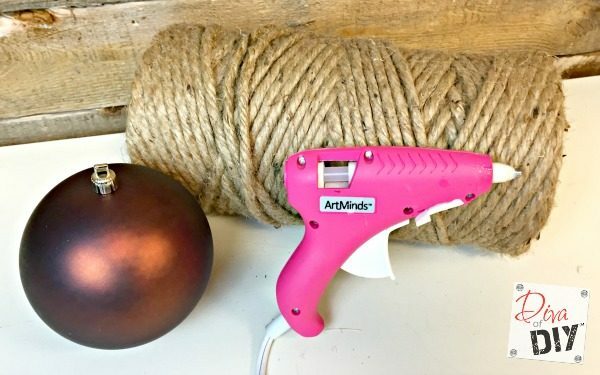 The perfect rustic ornament to add texture to your tree! 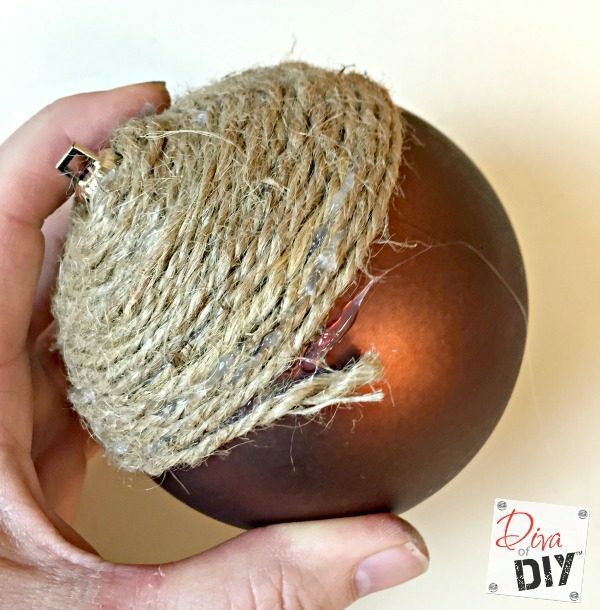 This ornament was made with a leftover copper plastic bulb… These were made with clear ornaments that I had leftover from another project. 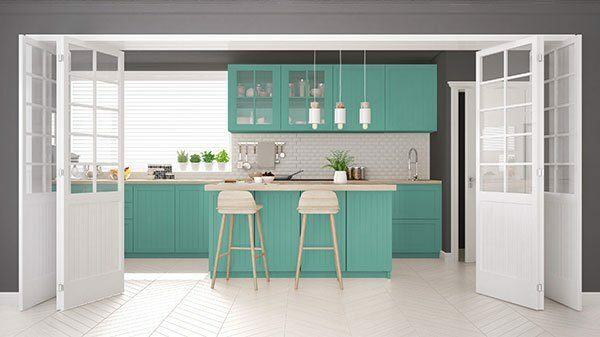 The end result is the same! They will all look alike in the end! I have wrapped just about everything in jute at one time or another. 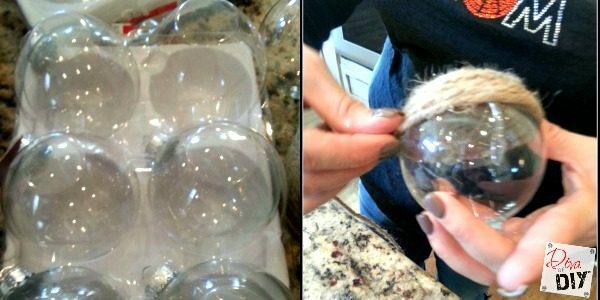 I love to wrap blown lightbulbs, mason jars, silverware, salt and pepper shakers, lamps, vases, candlesticks, fake fruit, wine bottles and the list goes on and on….it may or may not be an addiction once you get started! 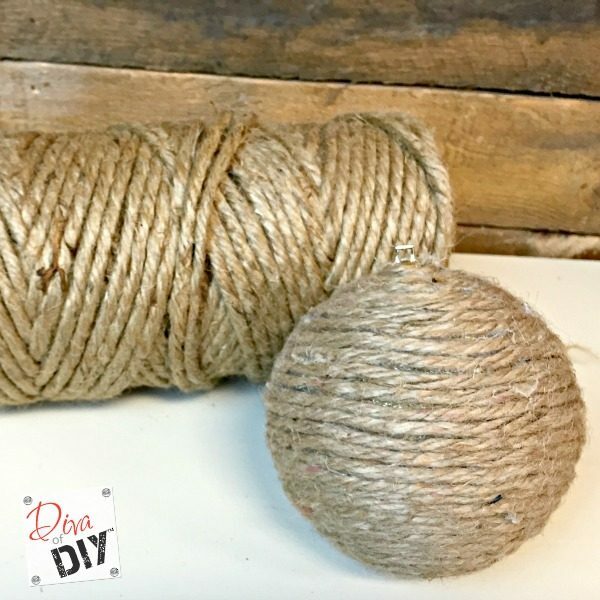 When Christmas is over put some jute balls in with your home decor! I use them to nestle into my everyday rustic modern decor!